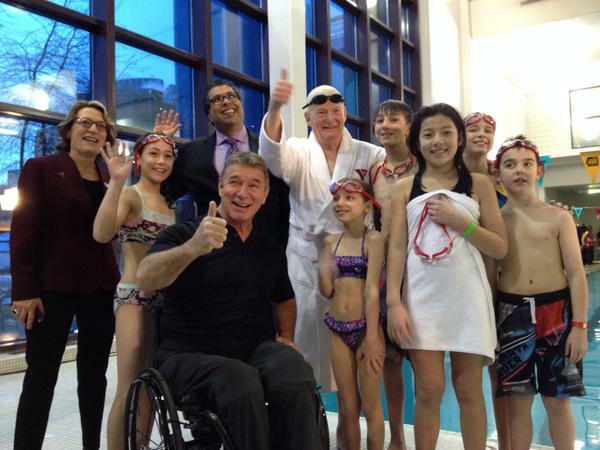 On February 27, we hosted a pool party celebration in honour of long-time YMCA supporter and philanthropist Jim Gray. In a steadfast commitment to his own wellness, Jim completed over 300,000 lengths during 23 years to reach his goal of swimming across Canada! This was a fun, energetic and unforgettable celebration of an extraordinary personal accomplishment by our friend, Jim Gray. In attendance were numerous strong supporters of Jim Gray including Mayor Naheed Nenshi and Rick Hansen, the Man in Motion. 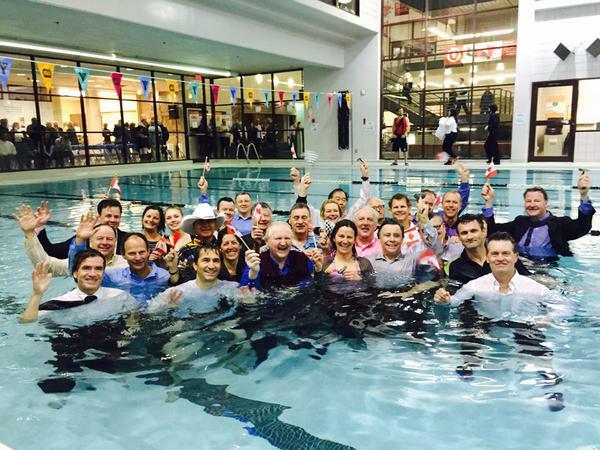 In addition, well-known business executive types jumped in the pool to commemorate Jim’s swim! At this inspiring event, a special announcement was made. YMCA Calgary’s downtown facility will soon have a new name as the Gray Family Eau Claire YMCA to celebrate his commitment to the community through his ongoing support of YMCA Calgary. At the event, we officially launched a very important fundraising campaign to raise $3-million in Jim Gray’s honour. Together with his family, Jim is stepping forward in this way to help the YMCA grow our impact across the city. This growth will include three new centres of community being brought to life through the YMCA’s $30-million campaign, Power of Potential. If you wish to contribute to the Power of Potential campaign, please click here. 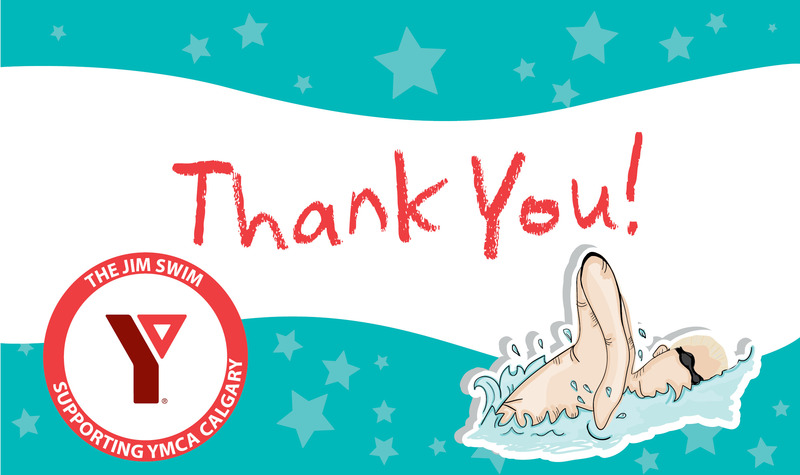 Your support is incredibly meaningful to Jim Gray, YMCA Calgary and the larger community.